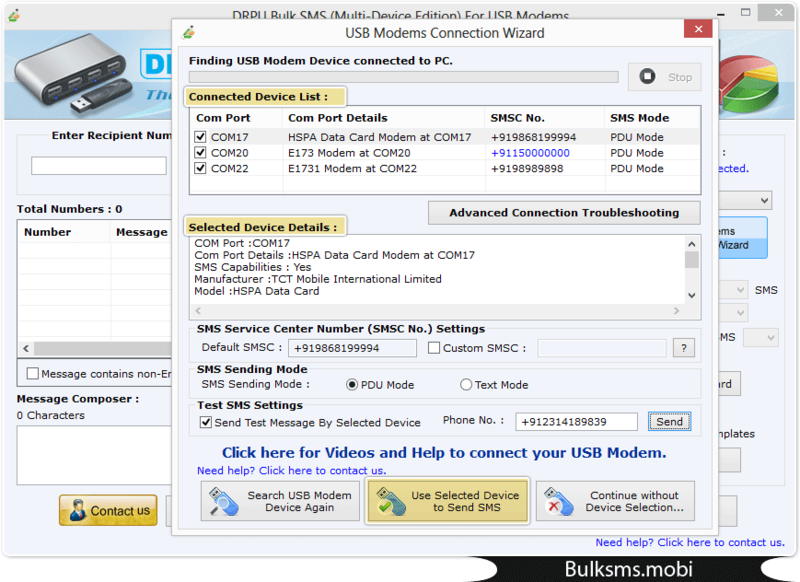 Above screenshot shows list of connected USB Modem Device, enable device and click on “Use Selected Device to Send SMS” button. 2 USB Modem Devices Selected. 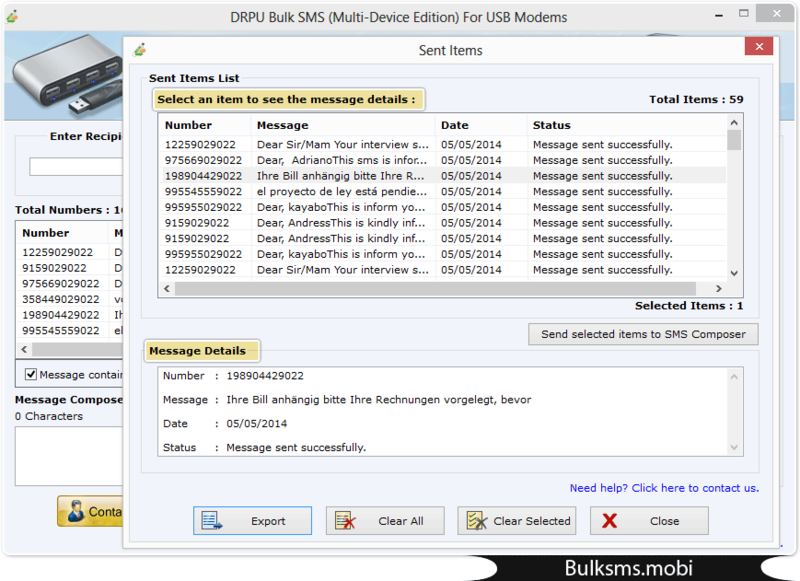 Load contacts from file and click on “Send” button to start message sending process. Message sending process is in progress. Do not interrupt the execution. 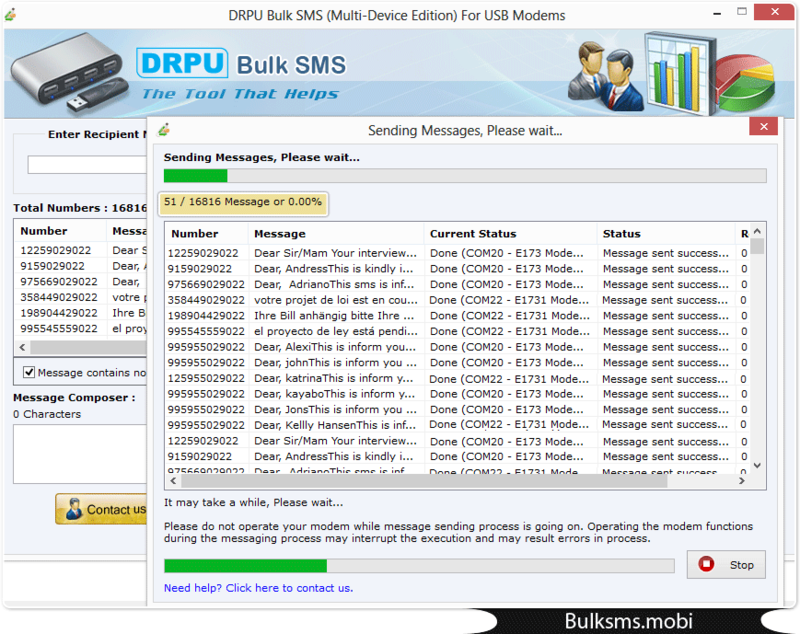 Screenshot display list of sent messages. 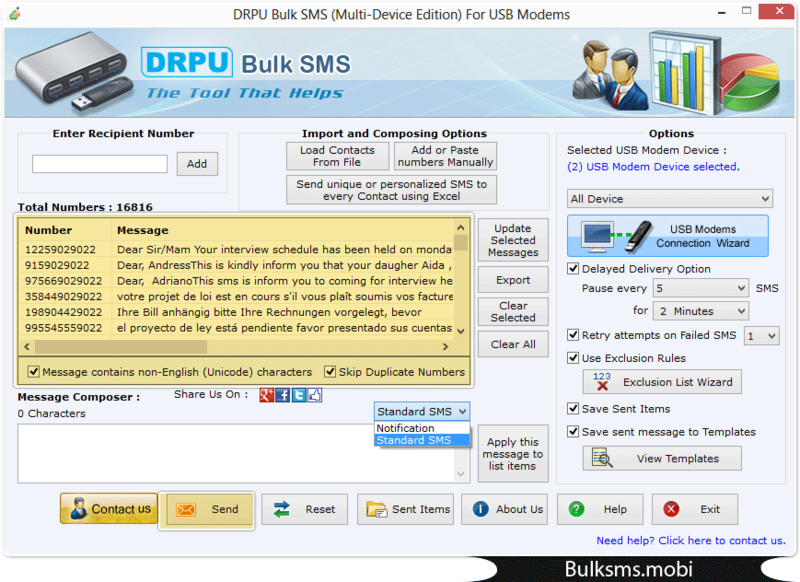 Select an item to view message details like number, message, date and status.